Situated on the southern coastal tip of Texas, South Padre Island is one of the state's true hidden gems. This long, narrow island is surrounded by water on all sides and is easily one of Texas' prettiest little resorts, popular with students for spring break and families in the summer. All sorts of water activities can be enjoyed at South Padre Island, with fishing, dolphin watching, and ecological boat tours being highly popular in the area. Of these activities, fishing is the most popular of all. Each year, the Texas International Fishing Tournament is held at South Padre Island, and various other fishing tournaments are held in the area too. However, it's not only professional or highly experienced anglers who can have fun fishing at South Padre Island. This is a great fishing spot for people of all ages and experience levels, with a nice range of onshore fishing spots and fishing charters ready to take you out to sea in search of the "big one". 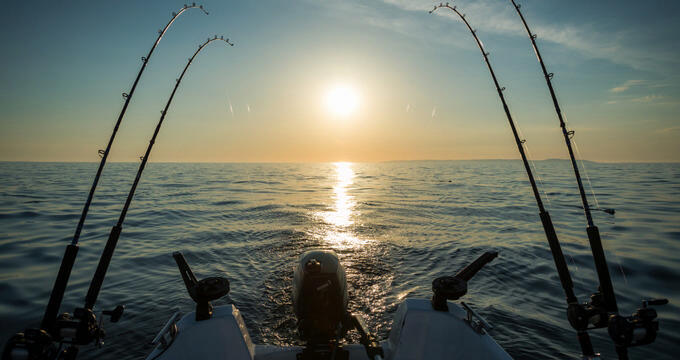 South Padre Island's mild climate allows for enjoyable year-round fishing, and there are all sorts of different fish species you can expect to catch in both onshore and offshore locations. Conservation efforts are also currently being put into place to increase the variety of fish in the area and provide food for the larger prize fish. Here are some examples of the best kinds of fish you might be lucky enough to nab on your next South Padre Island fishing trip. This flatfish is well known for its distinctive shape and the fact both of its eyes are on the same side of its head. Southern Flounder can be found in shallows near the shore of South Padre Island during spring and summer, but will head out to deeper waters in the fall. These fish can vary quite wildly in terms of size and weight, so you never know how big your catch might turn out to be. Highly prized by experienced anglers, you can't expect to land a tarpon without being prepared for a real fight. These fish are strong and fast and will do all they can to get off your line, but the angler who successfully reels one in will be rewarded with a true trophy fish. Tarpon can weigh well over 100 pounds and can be a very impressive catch, but you'll need to head out to deeper waters to have the best chance of catching one at South Padre Island. These fish are commonly caught in onshore fishing locations around South Padre Island. They can grow up to around two dozen inches in length, making for quite an impressive catch if you manage to land a big one. Speckled trout are often found hiding among seagrass, waiting to pounce on their prey and will be most commonly caught during the warm summer months. Commonly known as redfish or just red, these fish can also be spotted along the shallow waters near the shore of South Padre Island. They like to hang around piers and rocky areas to best hunt their prey and will spend much of the spring and summer in these areas, before moving to deeper waters later in the year. Red drum can grow very large in size and weight as they get older, with the record catch being over 90 pounds. Very similar to the red drum in terms of physical appearance, black drum can also be found inshore during the warmer periods of the year before heading out to deeper offshore waters at colder times of the year. The record catch for this species is over 100 pounds but most catches tend to be much smaller than that.